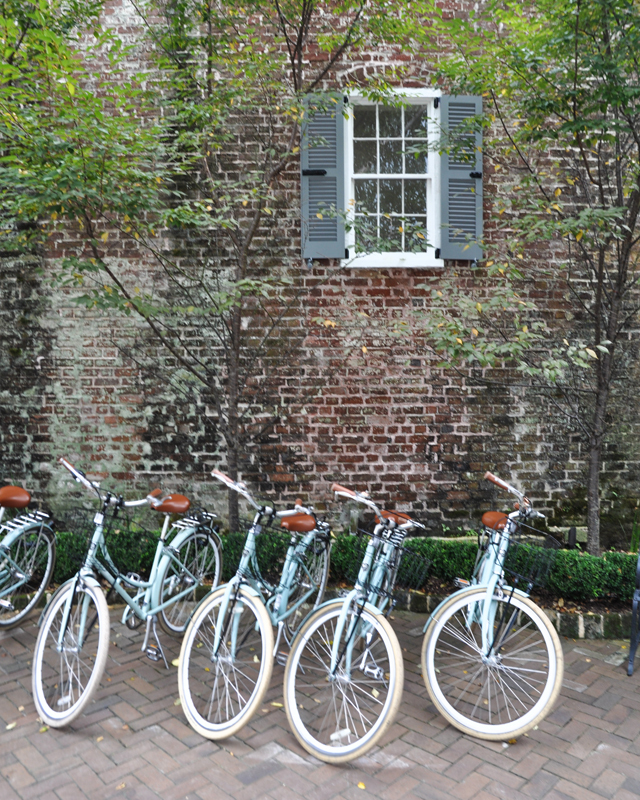 Charleston is a magical place. And yes, I'm biased as I'm a Southern girl. Give me a week in Charleston and I'm one with the world, right back where I belong. 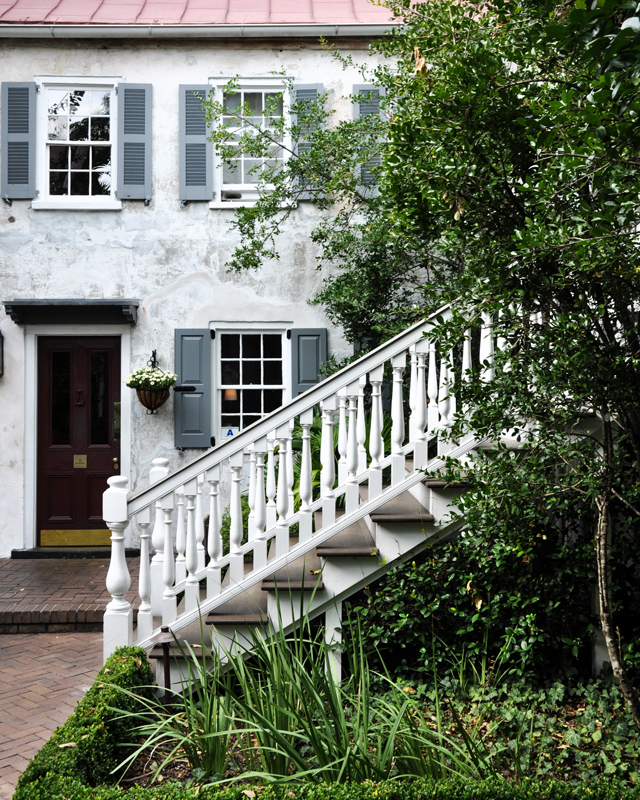 But, Charleston isn't a town that only a Southern girl would appreciate, as is proven by the millions of tourists that make their way through the city every year. 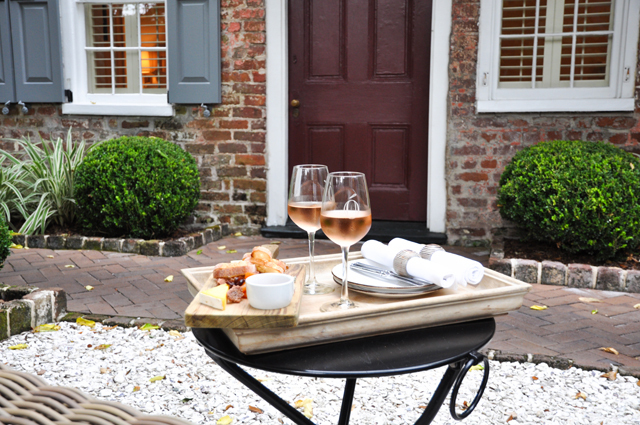 This is a place where old southern hospitality reigns supreme, where the comfort food is actually soul renewing food and the beauty of every passing cobblestone street will stop you dead in your tracks. And I, after many years of visiting, have finally found a hotel that echoes these characteristics of the city perfectly - Zero George Street. Now, it must be said that Zero George Street has been on my radar for some time. Anyone that has ever stayed there was come away waxing lyrical about "porch living" as if its some new found way of enjoying life. 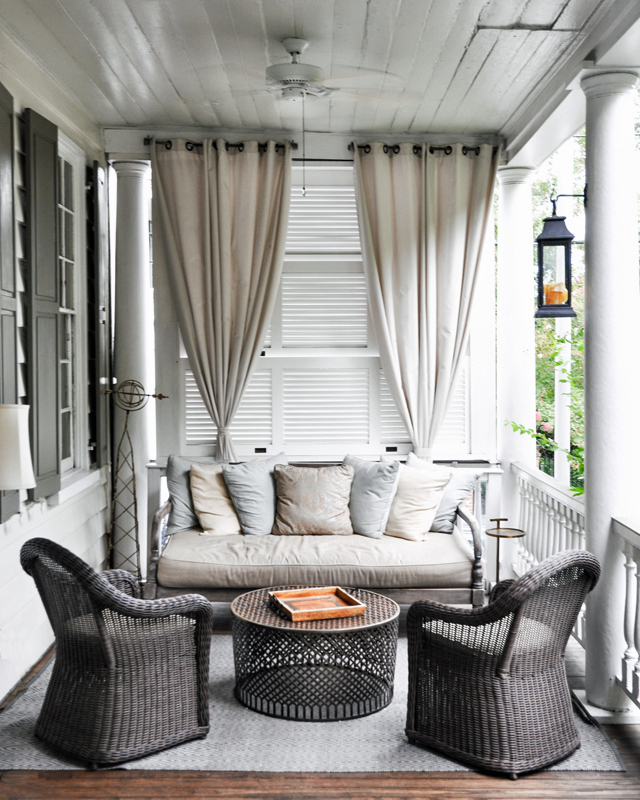 You have to understand that the idea of a porch isn't so much an "idea" for southerners as it is a way of life. 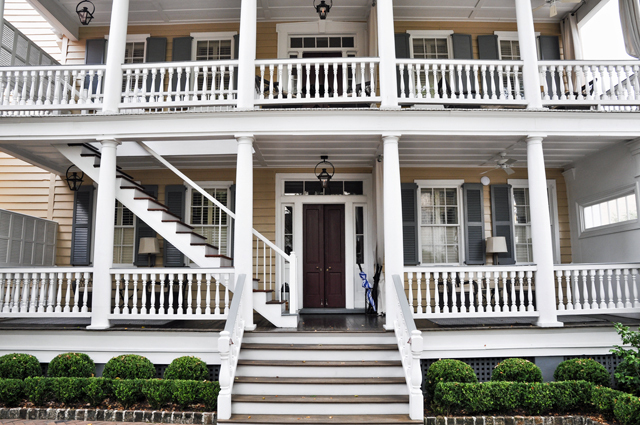 But, Zero George Street has half a dozen porches, maybe more, that offer foreigners, in town for a night or two, a look at the porch as a meeting place for life. 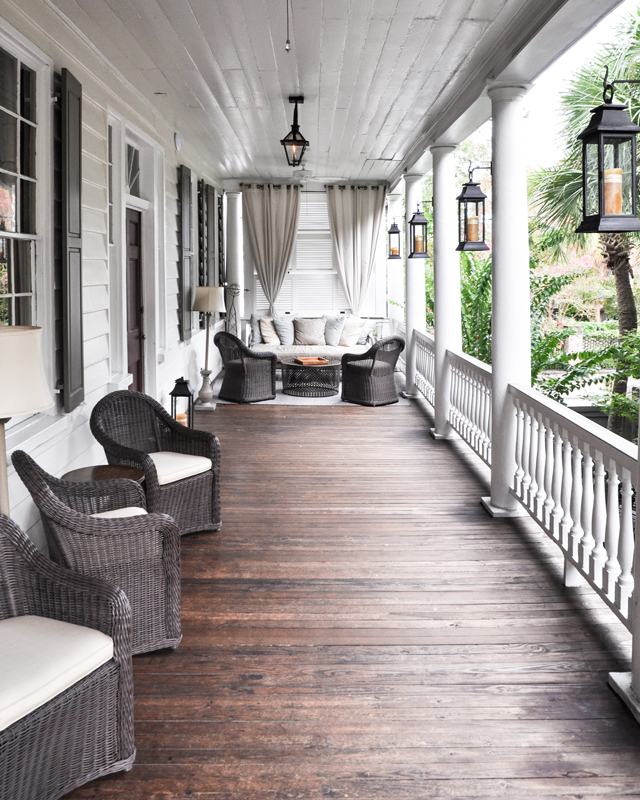 The porches of Zero George Street are designed to draw you out of your suites and into the heat of Charleston. 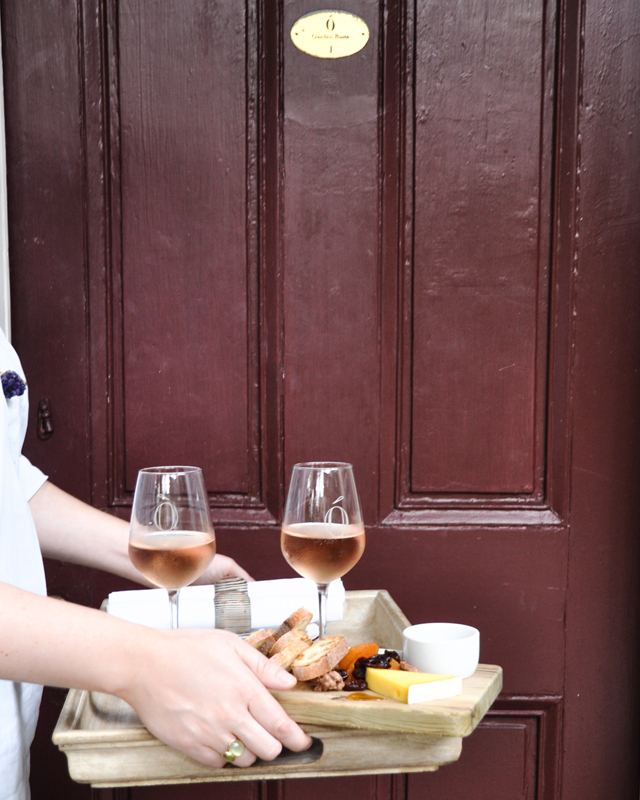 You are meant to check in, lose your heavy luggage and retire to a porch to sit under a fan and enjoy a glass of cold wine and a platter of cheese. 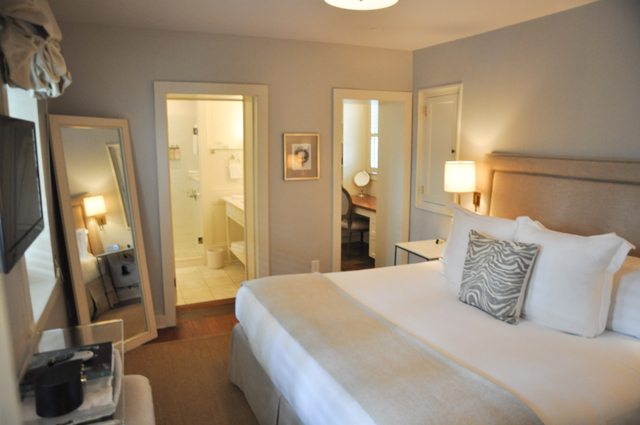 Yes, this happens when you check in. 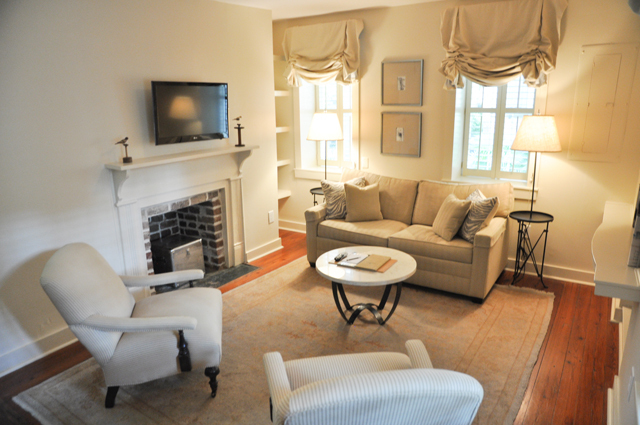 Wine and cheese hour is a real thing, it's customized to you and your needs and is brought to your sitting area of choice around the property. 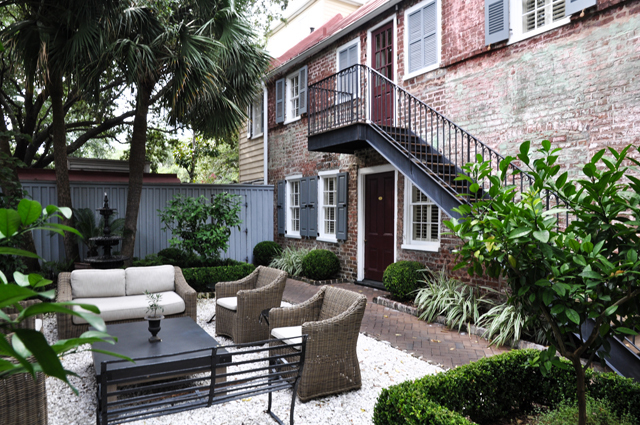 That alone would be enough for me to return to Zero George Street every time I visit Charleston. 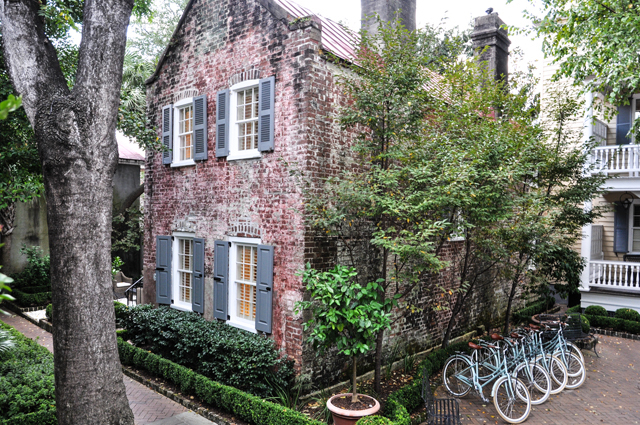 The wine and cheese is just a perk and only the beginning of the charms found within this Charleston property. 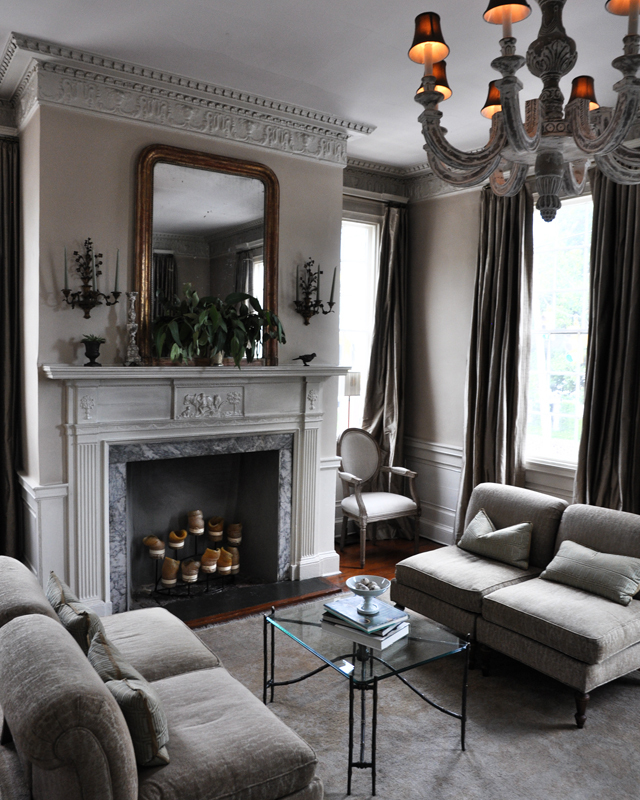 Zero George Street's interiors are a whole separate conversation for the masses. The design here is second to none. 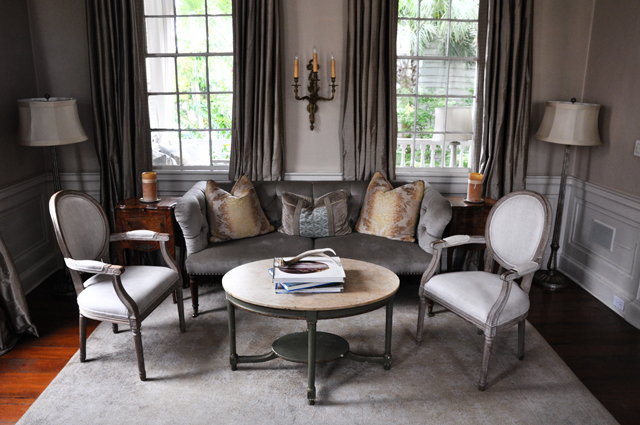 Guests feel as if they are a part of something old and beautiful where the buildings are restored to perfection and touches here and there make you feel as if Rhett Butler could march into any room at any time. 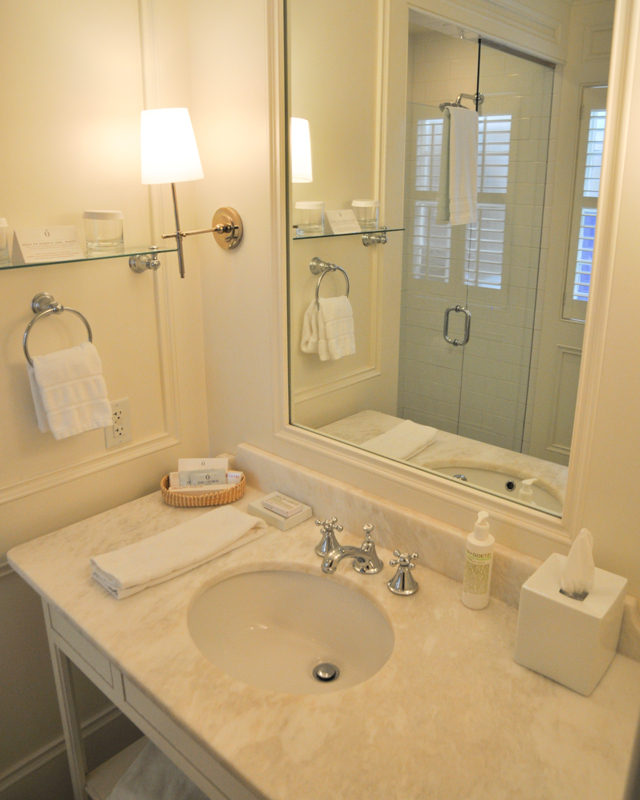 Saying that, you are spoiled with every modern convenience from luxury bathrooms to flat screen TVs in your room. So many people told me I had to try the food at Zero George Street, as it's regarded as quite the experience in Charleston. Sadly, they were closed on the night I stayed. But, the concierge came to the rescue and booked us into one of Charleston's finest eateries, where reservations are like gold dust. I will say that the breakfast made up for everything. 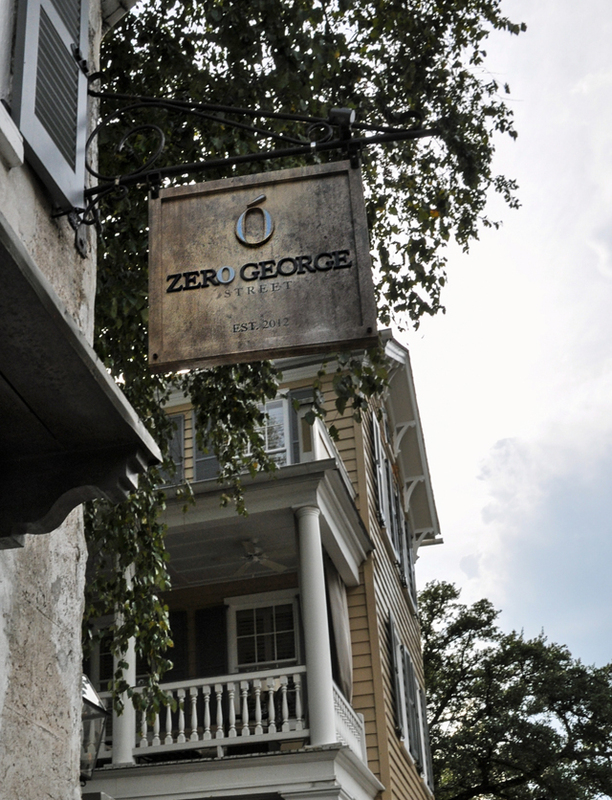 Zero George Street has it's finger on the food trend pulse in Charleston, for sure. Every morning they receive an assortment of breakfast biscuits from Callie's Hot Little Biscuit. For those of you that have never heard of this southern delicacy, it's a comfort food supplier that usually has queues stretching around the block at breakfast. Zero George Street save you the effort and bring them in piping hot for guests in three flavors - buttermilk, ham & cheese and cinnamon. The morning we checked out, I felt a bit of magic fall off me. We were leaving a southern paradise and I was bracing myself for returning to a harsh London winter. But, I close my eyes and I can feel the heat, smell the salty air and visualise the beautiful streets I was so lucky to walk. 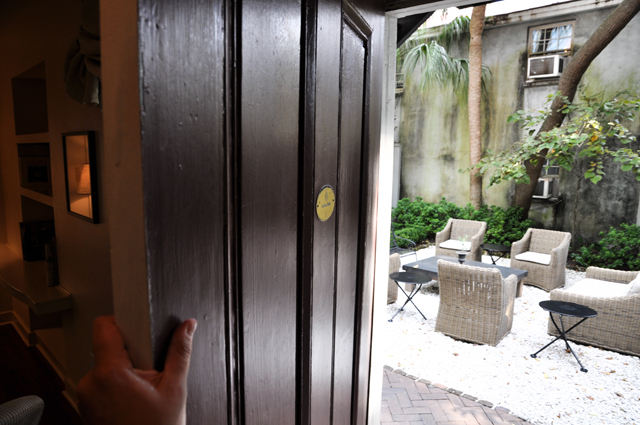 Once you visit Zero George Street in Charleston, you will be forever haunted by its charms. Prepare yourself for repeat visits.